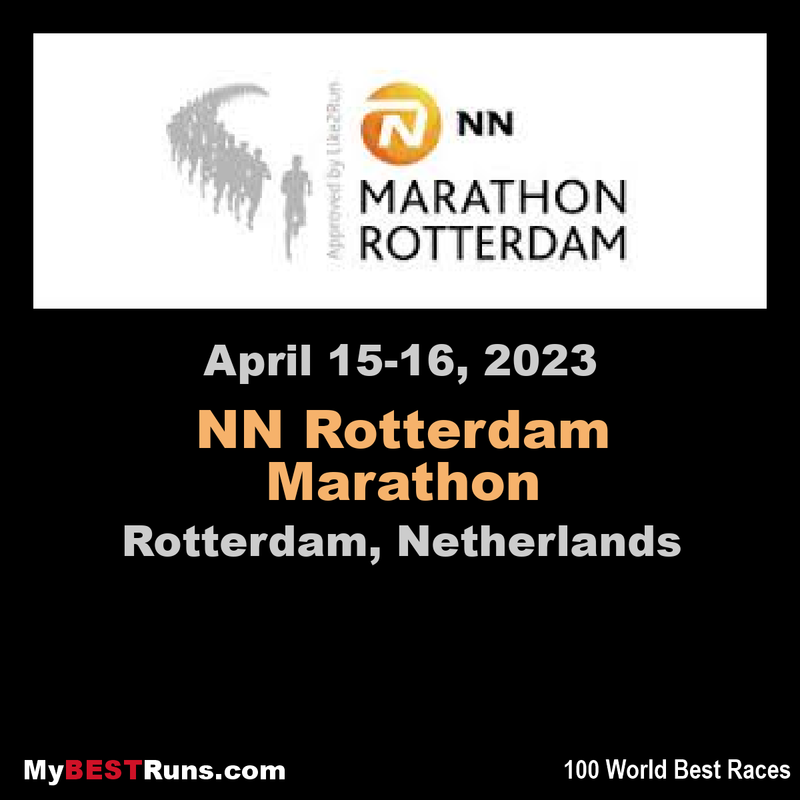 The NN Marathon Rotherdam has been the biggest one-day sporting event in the Netherlands for many years in a row with over 35000 athletes professionals inclusive. The world's top athletes will at the start on the bustling coolsingel, alongside thousands of other runners who will also triumph,each in their own way.The marathon weekend is a wonderful blend of top sport and festival. No other marathon in Netherlands can match the atmosphere in Rotterdam, 925,000 spectators along the course make party complete.The idea of an international marathon in Rotterdam originated in 1980. On 17 May of that year the Rotterdam Athletic Union PACorganized the national 25-kilometer championship to commemorate its 85th anniversary.The course, which was financially supported by the magazine Het Leven, went from the Nenijto-sintelbaan to Nieuwerkerk aan de Ijssel and back. In 1937 the race was considered to be the national championship. The world’s top athletes as well as thousands of runners from home and abroad get to experience what it’s like to finish on the renowned Coolsingel; it’s a marathon weekend that combines top sporting action with a festival feel. No other marathon in the Netherlands can match the Rotterdam atmosphere, with more than 925,000 enthusiastic spectators along the course. The Rotterdam Marathon often produces very fast times, as the course is flat and weather conditions are typically favorable. With a record number of 17,500 participants from 86 countries, and more than 40,000 participants for all races run, the NN Rotterdam Marathon, held last Saturday and Sunday, once more proved to be an inspiring treat for both old and young runners, and for professional athletes as well as recreational runners. NNMarathon Rotterdam has been the biggest one-day sporting event in Rotterdam, the Netherlands, since 1981. The world’s top athletes will be at the start on the bustling Coolsingel, alongside thousands of other runners who will also triumph, each in their own unique way. The marathon weekend is a wonderful blend of (top) sport and festival. It has also been ranked as one of the top 10 marathons in the world by Runner’s World magazine. This high quality marathon is well known for its fast times, professional organization and the many enthusiastic supporters along the course.The marathon weekend is a wonderful blend of sport and festival. This year, the famous course of the NN Marathon Rotterdam contains a new start location. Participants will start at the foot of the Erasmusbrug and will continue in the direction of de Kop van Zuid. The breathtaking course passes several highlights of Rotterdam. Along the way, thousands of supporters will motivate the participants. The finish is situated on the vibrant Coolsingel. The course of the NN Marathon Rotterdam is the same as the course of the Business Runs.